By now you probably know that I am a walking tour fan. There’s no better way to see the city than on foot accompanied by someone who knows their stuff. And among the tour groups, Urban Adventures is one of my favorites thanks to their wealth of knowledge, small group sizes and choice of lesser-known locations. 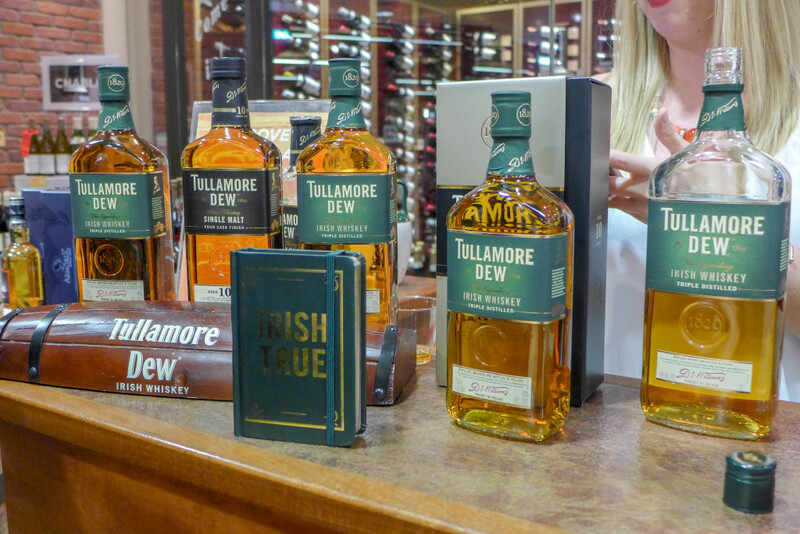 So when I learned they had launched a new tour, I jumped at the chance to try it — particularly because it involved another of my favourite things: alcohol. The company seeks to show tourists and locals small places that might otherwise be overlooked in favor of bigger and better known spots. These more humble, often family-owned businesses are the ones that made New York and the ones that keep it charming — so this is an idea I can easily get on board with. And the tour didn’t disappoint. 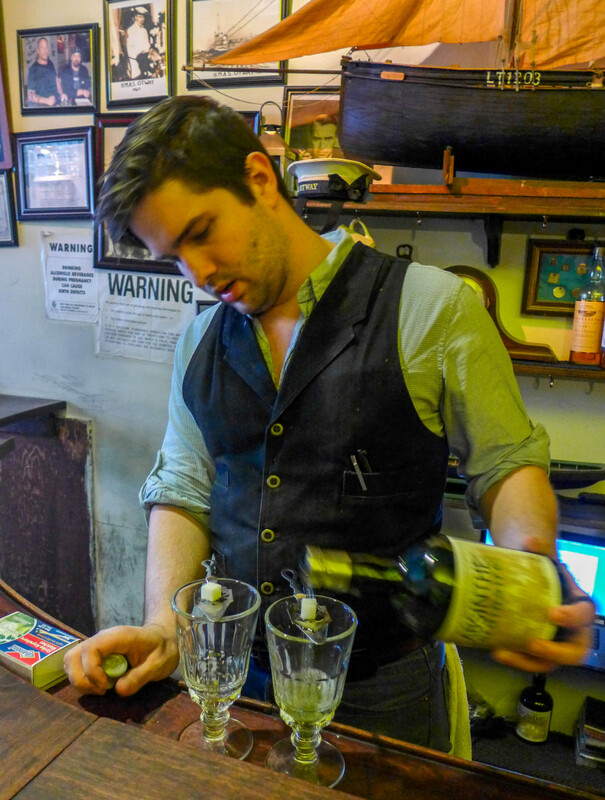 I work in the East Village and previously lived there for a year, yet our tour guide Brian introduced me to fantastic spots I never even knew existed. Plus we learned some history and had plenty of delicious tastings along the way. 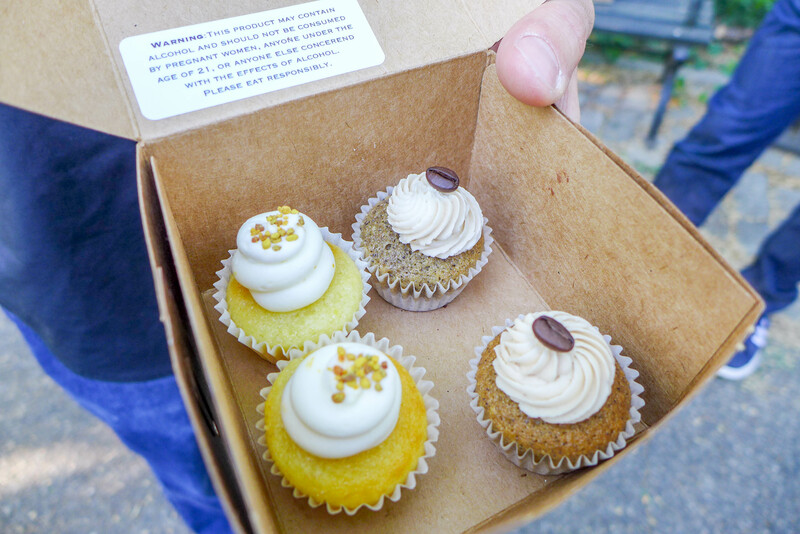 You might remember that way back in mine and Ryan’s early dating days, we bought a box of booze-filled cupcakes from Prohibition Bakery, sat in the median of Houston and scoffed the lot. It was like a grown-up, slightly classier version of swigging an alcopop on a park bench. I was a big fan last time, so I was excited to see that UA brought a box along to kick off the tour with a, well, kick. Not only are these cupcakes so pretty, they’re delicious too. 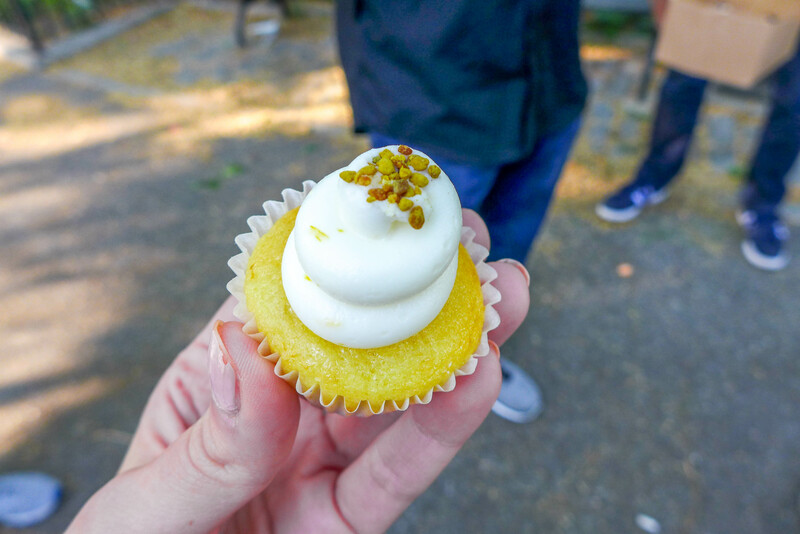 And they might be bite-sized but don’t let that fool you — Prohibition Bakery, which is on Houston and Clinton Street, puts the alcohol inside the cakes after they’re baked meaning that the alcohol doesn’t have a chance to cook off. They’re pretty potent! We tested the Bee’s Knees (pictured above), which was filled with lemon, honey, gin, orange and bee pollen, followed by a White Russian, which had Kahlua, vodka and coffee. Cienfuegos on Avenue A and 6th Street has a sign outside, but it’s not easy to spot. 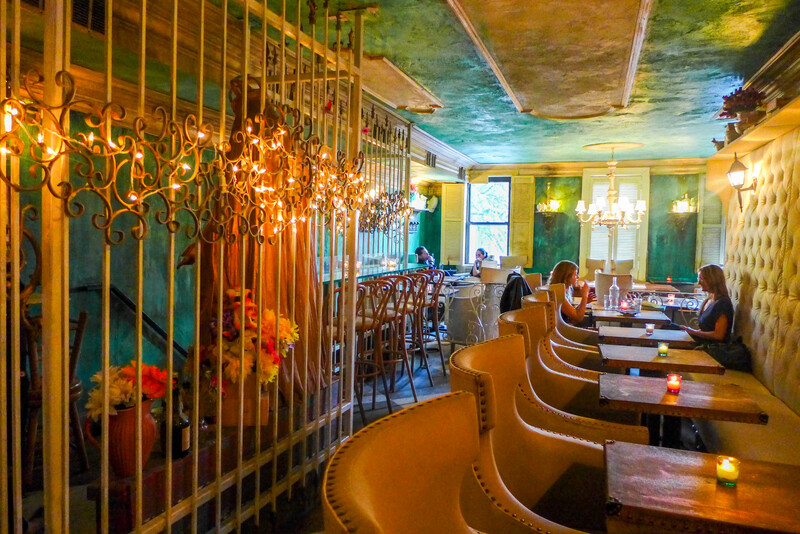 After taking some stairs you reach a colorful, shabby chic Cuban bar. 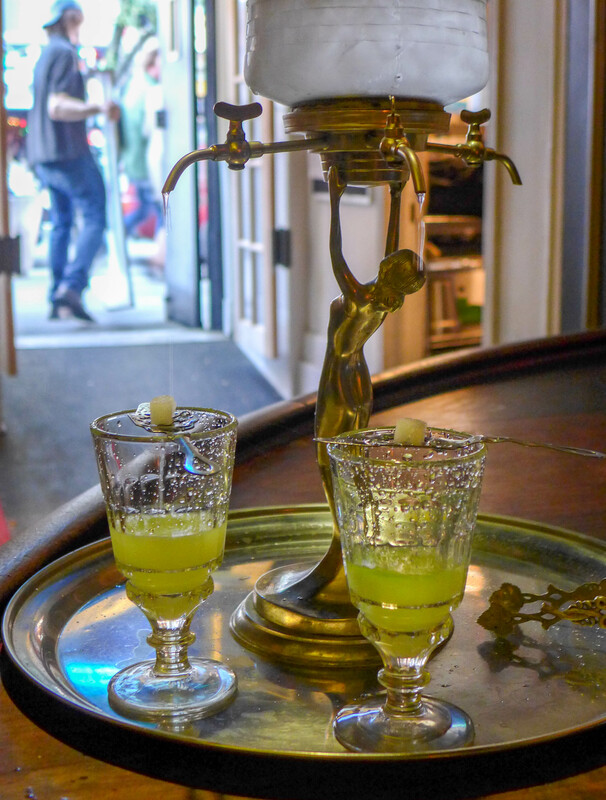 It’s famed for its punch, a rum-based mixed drink that preceded the cocktail. We learned it always has bitter, strong, weak, sweet and sour components. 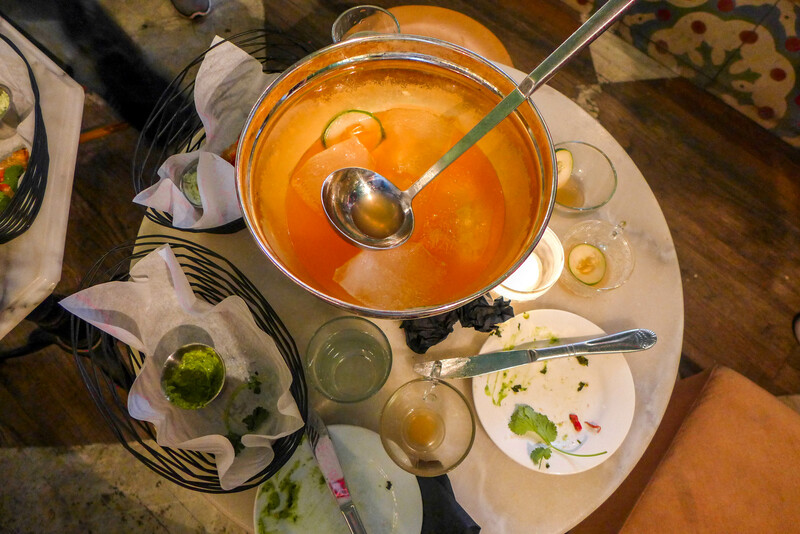 We settled down in a corner to share some kale empanadas and a bowl of the ‘Intro to Awesome’: rum, Aperol, muddled cucumber, lime, soda and salt. It was pretty and pink and sweet and sour and all-in-all: delicious. 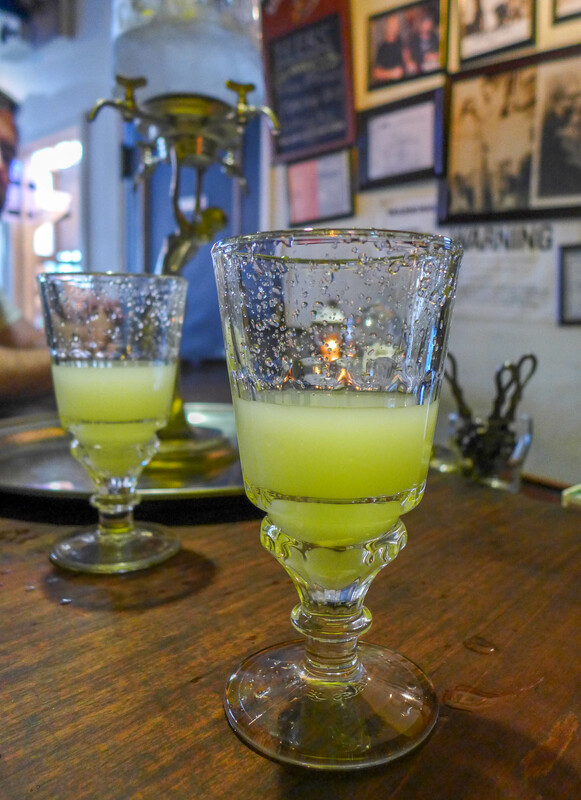 Brian pointed out that making these drinks was treated as a serious profession back in the 1800s; people would never attempt to make them at home. Only recently has that craftsmanship come back. I am so excited that I was introduced to this place and I will no doubt be heading back. That decor! That cocktail menu! This was the highlight of the tour because it was the heaviest with history. 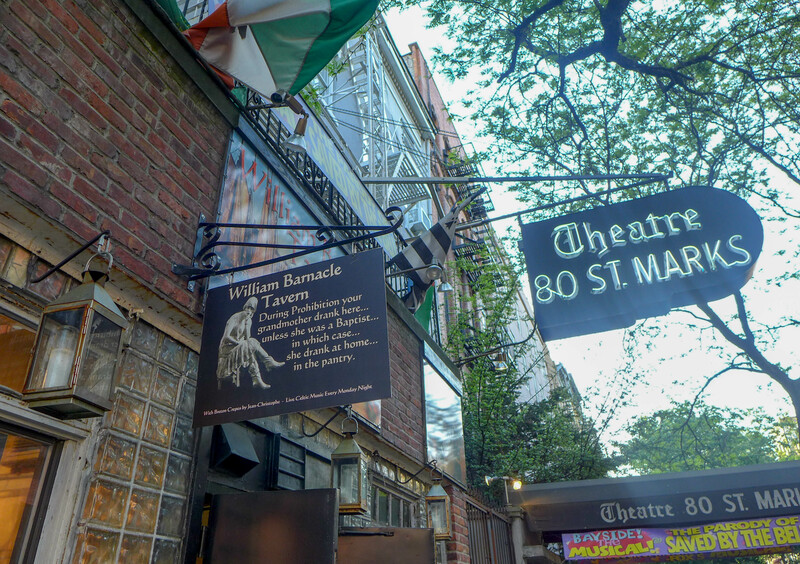 The tavern, which is housed on St Marks, was a speakeasy owned by millionaire gangster Walter Scheib back during Prohibition. And that connection was tough to shake: when its current owner bought the property around 50 years ago, he discovered $2 million stashed in a safe in the basement. 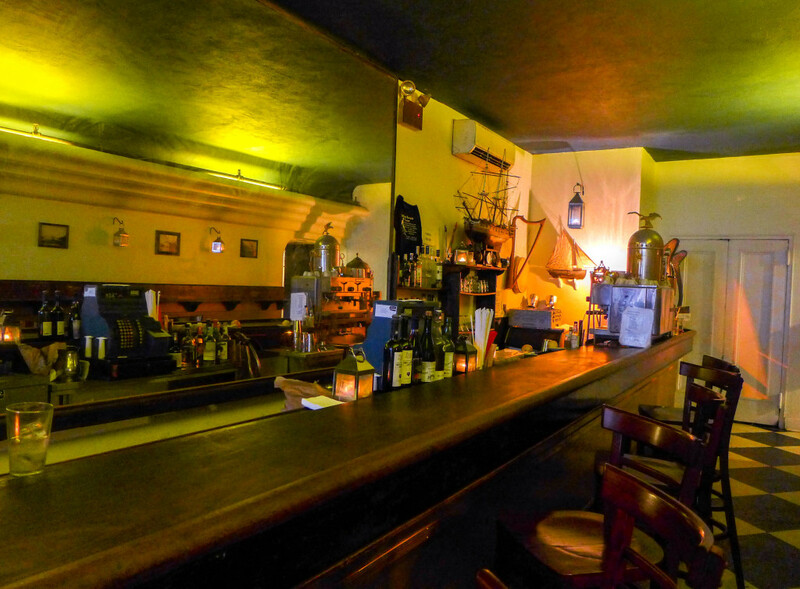 Now it’s a bar, named after a local sailor, and a theater, which is hosting a Saved By the Bell-themed musical. What’s not to love? You see that door hidden behind the lockers on the left? That’s the entrance drinkers used to sneak through from an alleyway to get to the speakeasy. This room was the ballroom. I was surprised at the size of it, considering it was supposed to be a secret, but Brian pointed out that the City Council members were known to drink here, so ‘secret’ is a relative term. 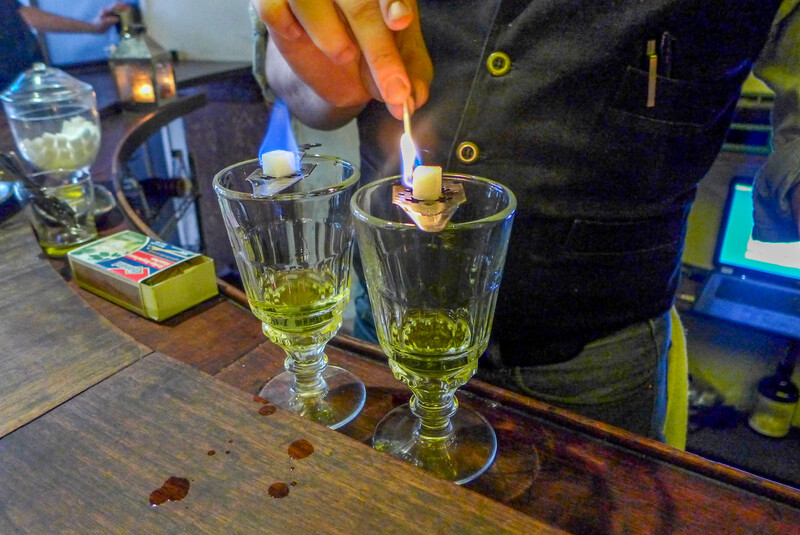 Today, the bar’s featured drink is absinthe, which was illegal in the U.S. until 2007. 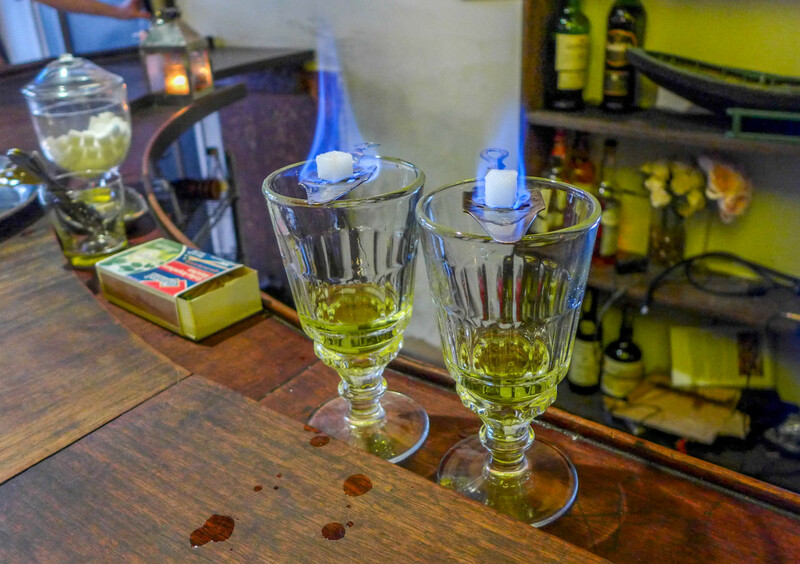 They serve it the proper way: a sugar cube is balanced on a stand above the liquid and lit so that it melts into the alcohol. Then water is drizzled into it slowly, a way of mixing the drink to avoid stirring or shaking it. I was more a fan of the theater of creating the drink than its actual taste: it tastes like liquid aniseed. And sadly the rumours are not true — it’s not a hallucinogen. It only works as a muscle relaxant, the bartender said. St Marks has a reputation of being one of the grimmest places in New York but this is such a fantastic nugget of genuine history — so simple and no flashy signs or gimmicks. Promise me you’ll go? 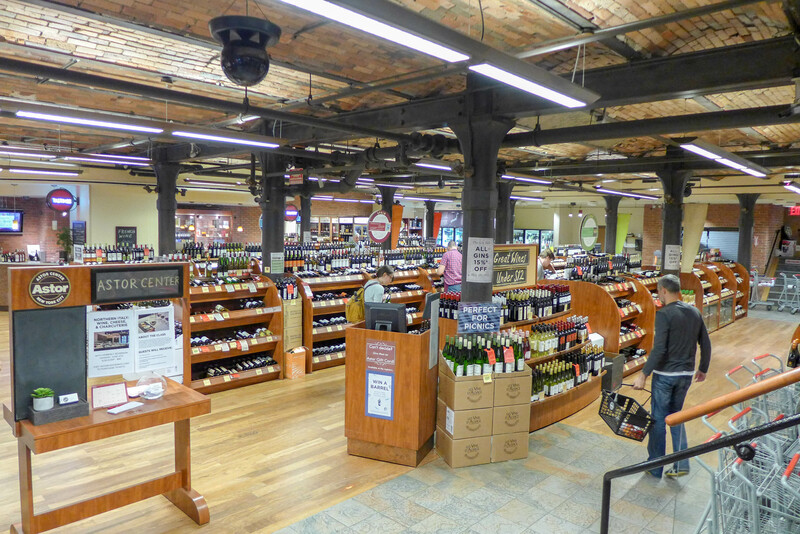 This store is actually my go-to for picking up a bottle after work but I must say that I always find it pretty overwhelming: there are more than 5,000 brands on offer here. Brian explained that they’re known for stocking hard-to-get bottles and as he led us from shelf to shelf, it started to make a bit more sense. This is definitely the place to buy some locally-made alcohol for a gift or, more importantly, for your own liquor cabinet. 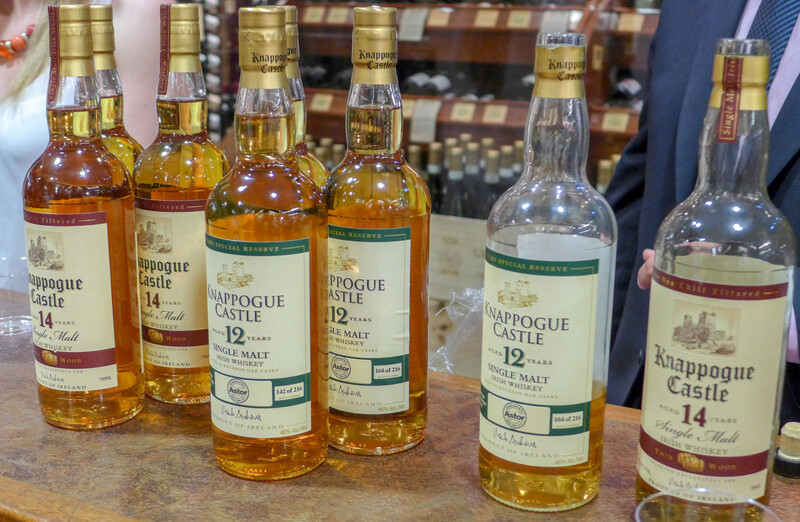 We also stopped for a tasting of two whiskeys, Tullamore Dew and Knappogue Castle, as their agents explained where each was from and what we might taste as we took a nip. I’m both uneducated and very weak when it comes to whiskey, so I could barely drink them — and definitely couldn’t taste the lime or orange or artichokes or whatever it was we were supposed to taste — but I still appreciated having these two aficionados there, who gave us a fantastic introduction into the process of whiskey making and tasting. 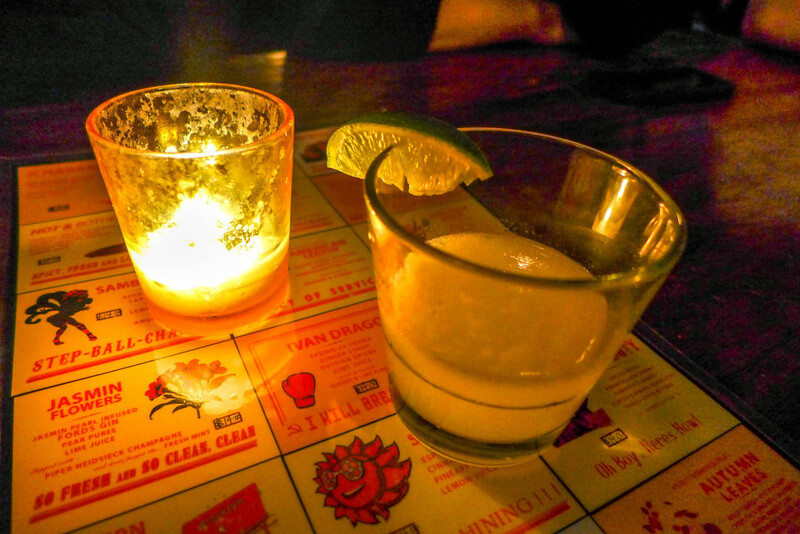 Finally, we stumbled down to this underground bar, which serves up classy cocktails, comfort food and games of shuffleboard. 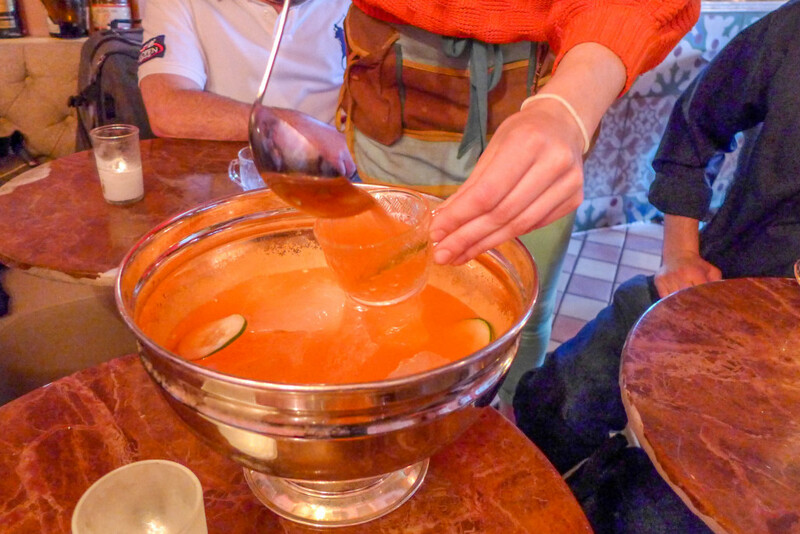 It had more of a party feel than I had expected, so I was surprised to see the real care they took in crafting a lengthy and very sophisticated cocktail list, including ingredients such as jalapeño syrup, baked apple bitters and solbeso, which is a new type of alcohol made from the cocoa fruit. And man, they were delicious. We were treated to two cocktails including a gimlet (Gin, lemon, sugar), and wow. They were both so perfectly balanced that I would’ve happily sat there for many more, had it not been a school night and had I not already consumed at least five or six drinks. The tour did what it set out to do: show us some hidden gems that I would otherwise never have seen. I liked every place on the list for very different reasons, and I will definitely be heading back to them — particularly Cienfuegos. 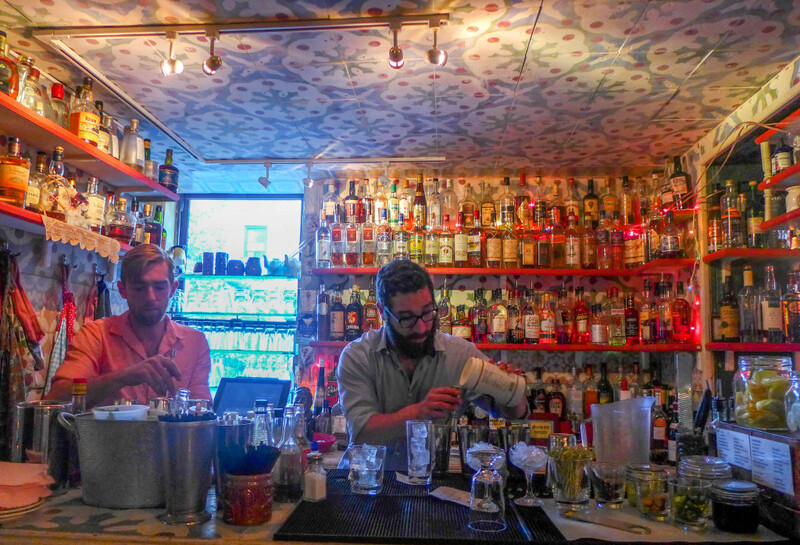 It made me feel so excited to be here in the city during its undeniable craft cocktail boom. 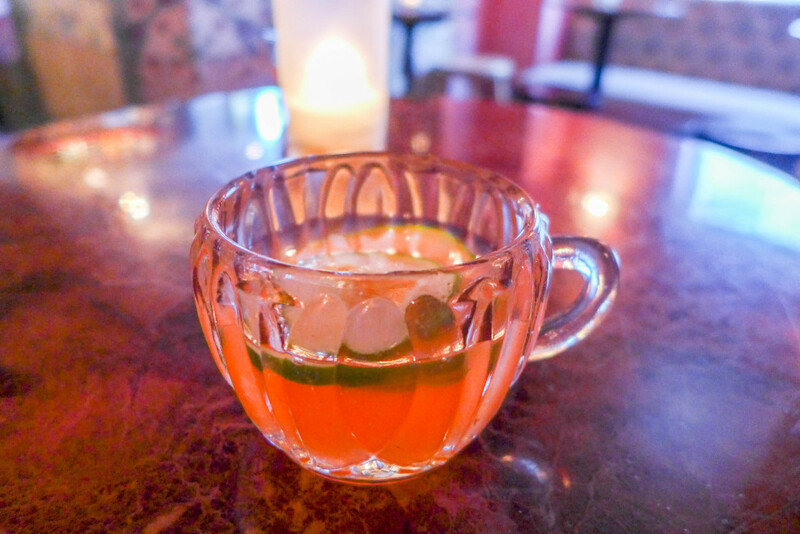 As an extra treat, we got to meet the creative minds behind these drinks — in each bar, we chatted with the manager or knowledgable bar tender and this set the experience apart from just going out for a drink with friends. 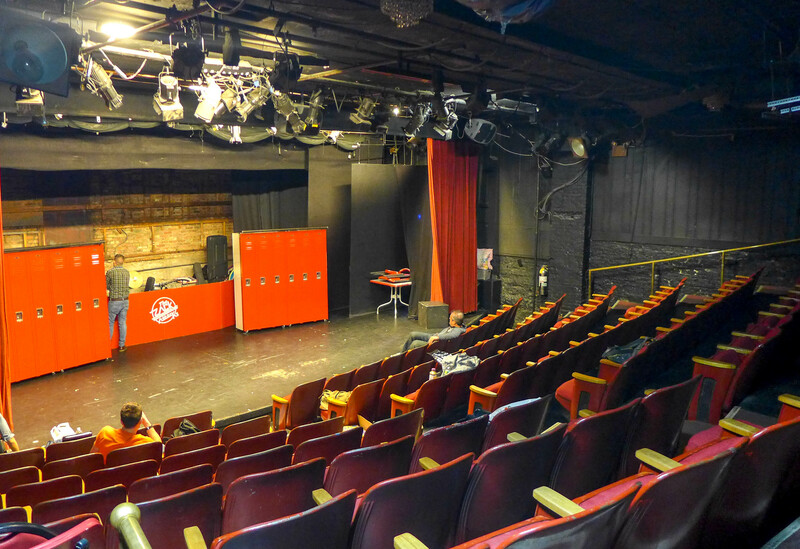 The tour, which runs every night of the week, is different depending on which day you pick. This means you could go more than once and continue to find great new spots. So maybe I should get booking another…? Urban Adventures runs its new cocktail tour every day and group sizes will never run bigger than 12 — they’ll also happily take you on your own. Where you go depends on the day you take the tour, but my experience is a good example of the number of locations you’ll visit and how much food and alcohol you’ll consume. The tour costs $79. Please note that while my ticket was complimentary, I wouldn’t endorse anything I didn’t like. The company also runs other food and drink tours — check them out here. the cupcakes at Prohibition Bakery looks uh-may-zinng! they tasted so good — surprisingly strong! 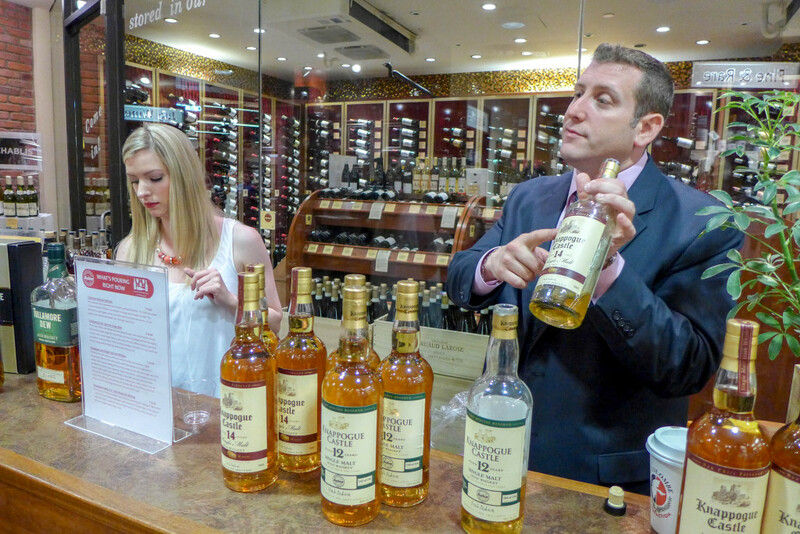 Another good reason for a visit to NY …..
Wonder if the Astor store stock Grace whisky?? Oh I didn’t know that was a thing! I’ll have to have a look. And yes, if you come back, let’s definitely go to that Cuban bar, it was lovely. Cool, I’m so glad the cocktail tour is getting some press! Did you by chance read mine on UsedYorkCity? Oh yes, I read it a week or so ago, and it made me all the more excited to check out the tour! (For anyone reading this, you can see the review on UsedYorkCity here.) I see you guys also went to the Blind Barber, which looks amazing as well. I love how the tour is different depending on when you go. Me too, now I really want to check out Cienfuegos! What a great walking tour! Love the variety and you’re not kidding about hidden gems! I’m impressed this takes place every single night of the week, no easy feat! I know! I have no idea how the guides do it!